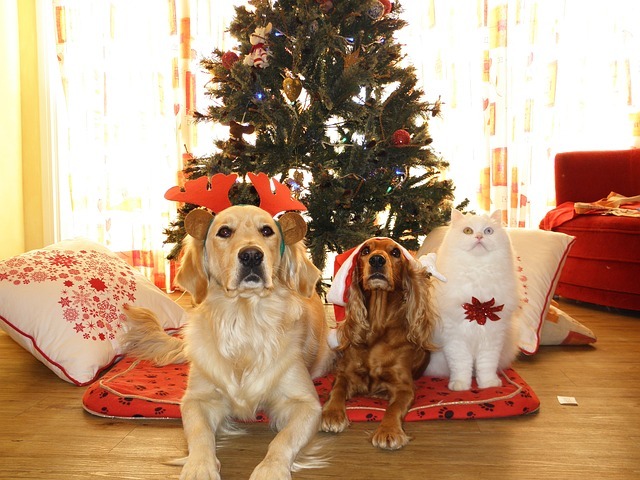 This is how to get your pup posing for those holiday photos……good luck! If your dogs are anything like ours, they seem to take pleasure in sabotaging your attempts at photography. Whether they blink, yawn, look away, or wander off, they can make a decent holiday photo seem impossible. Courtney Bayer, a Canine Behavior and Training Associate at the Louisiana SPCA, faces the same problem when photographing her clients’ dogs on graduation day. 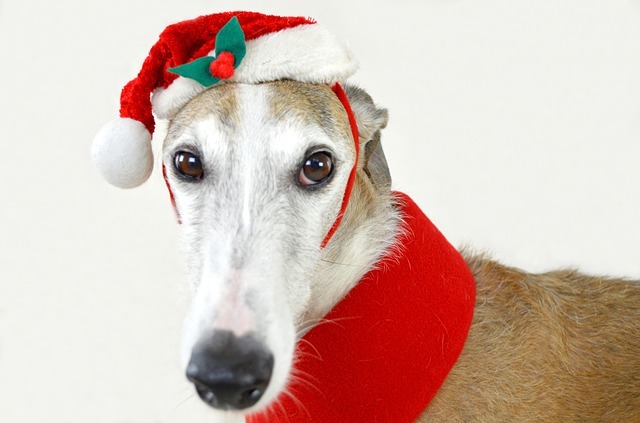 She recommends a three step process for capturing holiday pet portraits. 1. Train your pup to sit for an extended period of time. Bayer recommends teaching the sit command on a mat to “ensure that the dog stays in the same spot, controlling the training space, instead of scooting around the room.” Ask your dog to sit or lure her into position using a treat, then move the treat away. If your pup holds the sit, immediately bring the treat back and reward her with it. At this point the goal is just to teach your dog that staying in the sit position equals treats. 2. Teach your dog the “leave it” command. 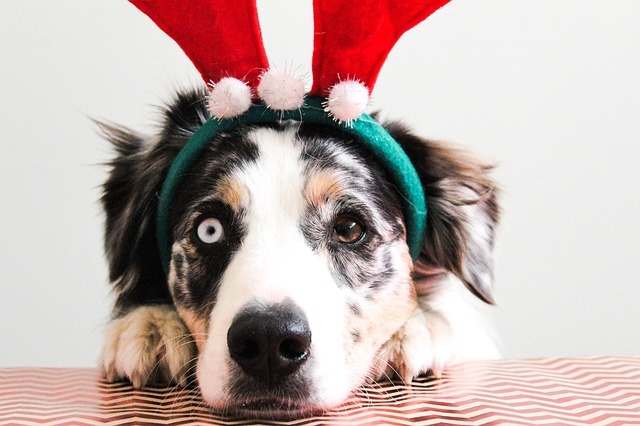 Depending on whether you are shooting pictures at home or with the local mall Santa, there may be lots of sights, sounds and smells distracting your pup. Teaching her to shut out her surroundings and focus on you is crucial for a good photo, according to Bayer. “Stay” may work for dogs experienced in obedience training, but others need this additional tool. Detailed instructions for mastering the “leave it” command are available here through the Louisiana SPCA Training Resources page. 3. Practice getting your dog’s attention without breaking her “stay” position. 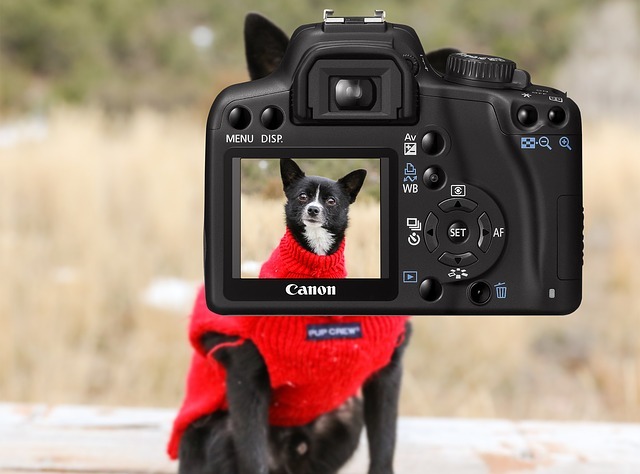 Now it’s time to teach your dog to look at you – or your camera – without forgetting to hold her beautiful pose. “Ask the dog to stay, move away in front of her, then bring out your phone or camera and experiment with treats, noises or gestures that get your dog’s attention,” Bayer says. She recommends trying a baby rattle or holding up a treat to encourage a “smile” or a cute head tilt. The idea is to pique her curiosity without causing her to hop up and run to you.